Author: * Lomonosov Porcelain Factory, Leningrad. 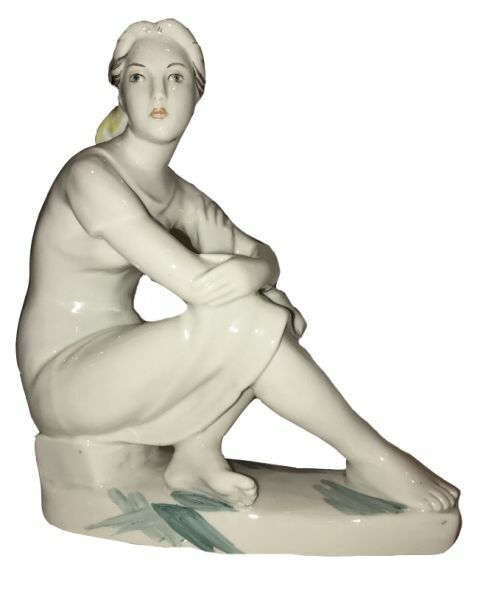 Technique – Porcelain, overglaze painting. 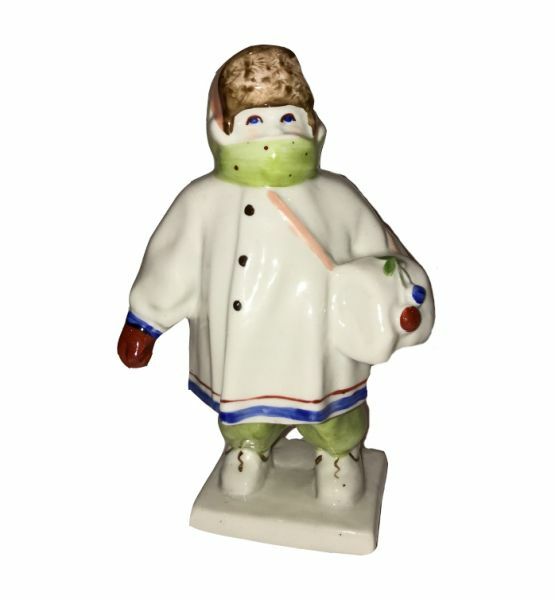 Author: * The Kalinin Faience Factory of Konakovo. Author: Kiev Experimental Ceramics and Art Factory. 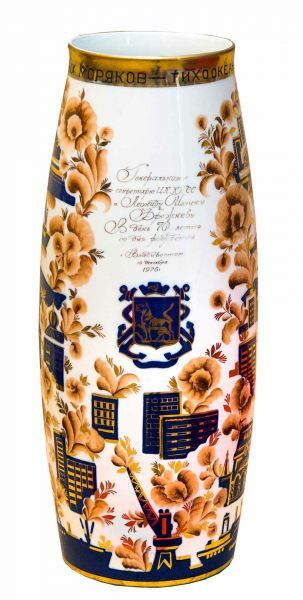 Technique – Porcelain, painting, gilding. 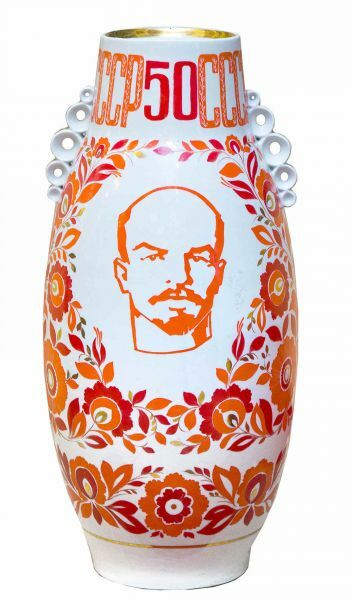 Vase "30 years of the Komsomol". 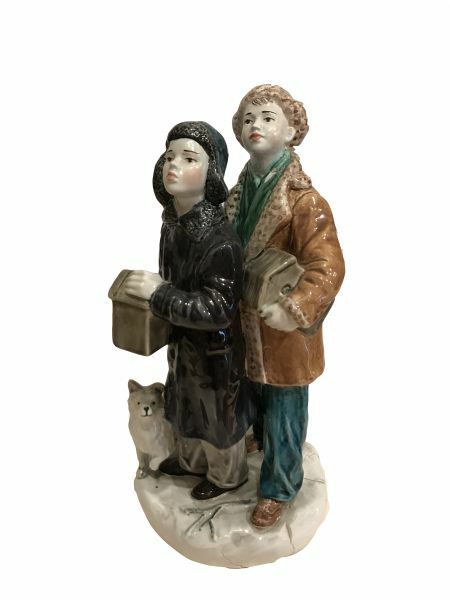 Technique – Porcelain, molding, overglaze painting, gilding. 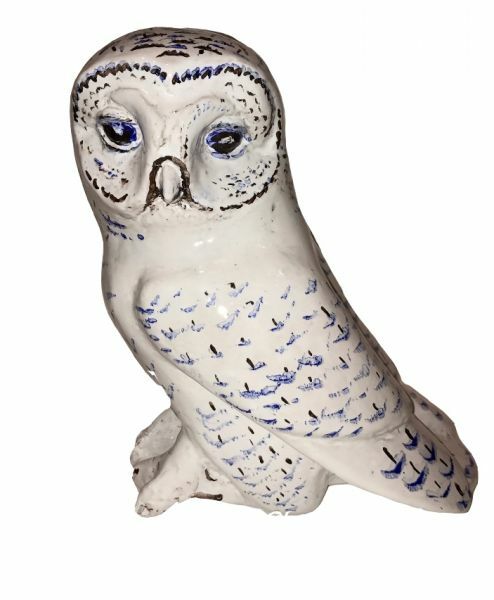 Technique – Porcelain, modeling, overglaze painting, gilding. Author: *Leningrad Cooperative Artel Progress. Technique – Ceramics. Overglaze painting. Author: *Polonsky factory of art ceramics. 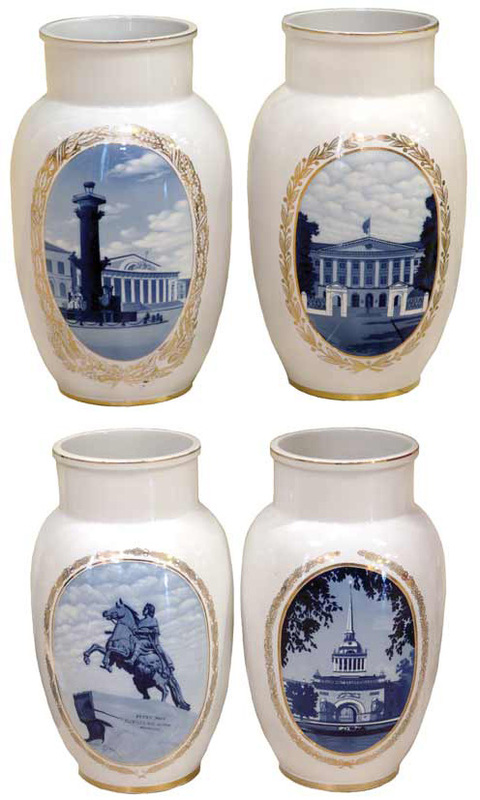 Four decorative vases "Cityscapes of Leningrad". Size – h = 48 см. 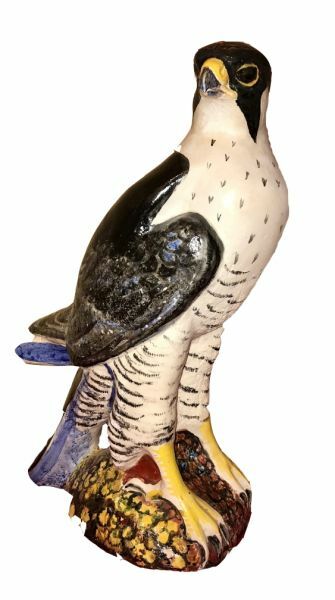 Technique – Porcelain, cobalt underglaze painting, gilding. Buy 1 200 000 rub. 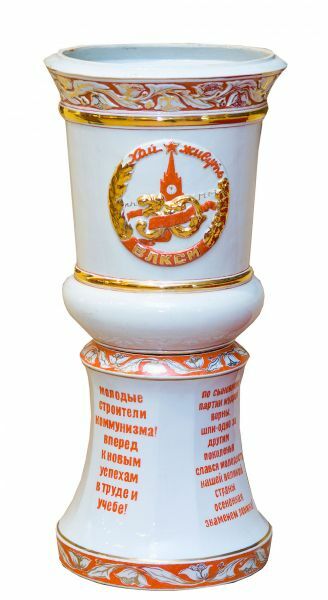 Items of dinnerware with logo «PKKA» (Worker-reasant Red Army) and «KA» (Red Army), the star and the emblem «sickle and hammer”. Tureen, water jug and two sugar bowls. 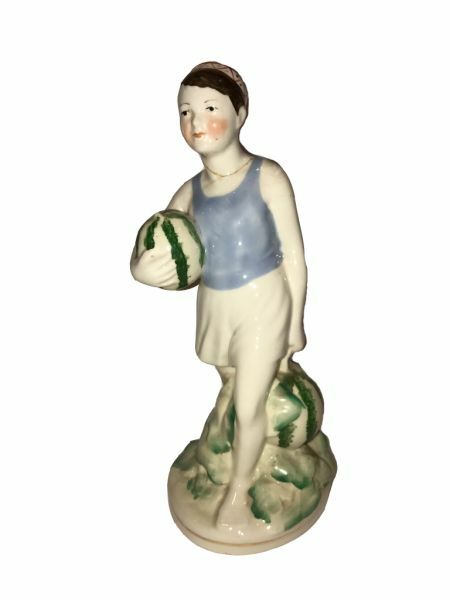 Author: * Proletarii Porcelain Factory of Msta, Dulevo Porcelain Factory. Year – The second half of 1930-es. Technique – Porcelain, overglaze painting,press. Author: * Krasny Farforist Porcelain and Pottery Factory in Gruzino. Technique – Porcelain, luster ware, press. 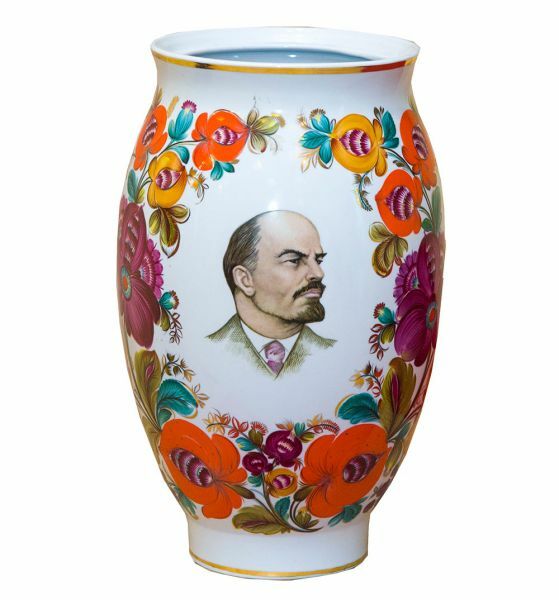 Author: * Proletarii Porcelain and Pottery Factory.